Rustico01924 291297work Restaurant - ItalianRustico is a family run restaurant offering the finest Italian cuisine in a relaxed and modern atmosphere. Based in the centre of Wakefield, Rustico serve a wide range of authentic Italian cuisine that is sure to appeal to all tastes. They aim to serve the freshest, rustic Italian cuisine and are open for lunch and dinner. The staff at Rustico do their best to ensure visitors experience the best authentic Italian food and service and are happy to assist with any special requests. 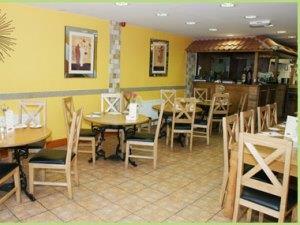 Staff are extremely friendly and attentive and are always willing to attend to any requests you may have. Like the best restaurants in Italy, everything on the menu is food you can have again and again. Rustico is a family run restaurant offering the finest Italian cuisine in a relaxed and modern atmosphere. Please phone for more details on opening times. Restaurant is opposite Post Office.